Matthew Brown started his career in SEO in 2002, in a futile quest to get a semiconductor company’s products found on the web. He served as Director of Search for the New York Times Company from 2005-2010, and founded two SEO consulting firms along the way. His last company was acquired by Moz in 2013, and he’s currently serving as Chief of Product Strategy and Design at Moz. He still runs a portfolio of goofy websites with terrible content and has way too many ill-considered domain purchases. He joins us from Portland, Oregon to discuss the role of the SEO Strategist. You can hear our conversation in iTunes, Stitcher or Soundcloud or below now. The shift in technical SEO is not just about bigger or more complex frameworks, but also how Google is ranking sites. As he says, ‘what’s changed is that 10 years ago you could build a site that could rank for 19 different verticals…Now that’s much harder. You really have to dial in your audience and create effective content that that audience will link to and share and give you direct visits’. This shift in SEO means ‘you really need a content strategy that effectively targets one audience…you can’t hope to build thousands of links that are going to count in Google’s algorithm across things that don’t resonate with the specific audience for your content. So you see a lot of SEOs paying closer attention to how to do the research and put in the effort to create content that is going to resonate with the audience that we are targeting‘. Matthew points to Buzzfeed and Business Insider as organizations that are winning in today’s SEO environment because they ‘understand that SEO is about making sure that pages and pieces of the site are optimized so when they do a lot of their social…that leads to links, that leads to traffic, that leads to sharing’. This is a result of the fact that they have a ‘very shrewd and very smart publishing team that understand that the visibility is going to lead to more search’. 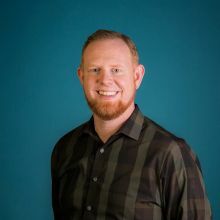 Matthew has been involved in the SEO space for over a decade, kindling his interest at a B2B organization before moving to the New York Times to work with long-time friend Marshall Simmonds, one of the original stars of SEO, who in turn learned his craft directly from Danny Sullivan. As Chief of Product Strategy and Design at Moz, Matthew leads the new products division, an R&D group within the industry leading marketing analytics organization that delivers products and platforms to support the social, local and content spaces, having grown beyond their roots in SEO link reports. His advice to those starting out today is to join a big agency or an SEO specific agency since it would give you the opportunity to ‘learn about a lot of different clients, how to use tools, how to interpret analytics, how to do client services’, all to a much greater breadth and depth than if you were to start in a junior in-house SEO role.